This family-friendly Cyberjaya resort is within 2 mi (3 km) of DPULZE Shopping Centre and Multimedia University Cyberjaya Campus. Putrajaya Marina Aquarium and Putra Mosque are also within 6 mi (10 km). Along with 3 restaurants, this resort has a full-service spa and an outdoor pool. Free WiFi in public areas, free self parking, and a free shopping center shuttle are also provided. Additionally, a fitness center, a bar/lounge, and a coffee shop/café are onsite. All 112 rooms feature thoughtful touches like bathrobes and slippers, plus free WiFi, free wired Internet, and LCD TVs with satellite channels. Guests will also find balconies, 24-hour room service, and minibars. In addition to a full-service spa, Cyberview Resort & Spa features an outdoor pool and a spa tub. Dining is available at one of the resort's 3 restaurants and guests can grab coffee at the coffee shop/café. The property also has a snack bar/deli. A bar/lounge is on site where guests can unwind with a drink. Public areas are equipped with complimentary wired and wireless Internet access. This 4-star property offers access to a business center and limo/town car service. 10 meeting rooms are available. This family-friendly resort also offers a children's pool, a fitness center, and a sauna. For a surcharge, a roundtrip airport shuttle (available 24 hours) is offered to guests. Onsite self parking is complimentary. Cyberview Resort & Spa has designated areas for smoking. 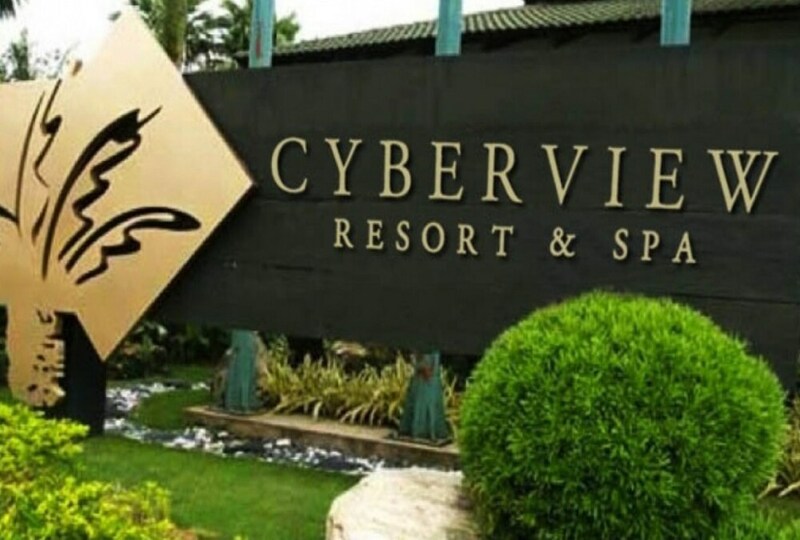 Cyberview Resort & Spa has 3 restaurants serving breakfast, lunch, and dinner. The onsite spa has massage/treatment rooms and couples treatment room(s). Services include facials, body treatments, and manicures and pedicures. The spa is equipped with a sauna and a steam room. A variety of treatment therapies are provided, including aromatherapy and reflexology. This property offers transfers from the airport (surcharges may apply). Guests must contact the property with arrival details 72 hours prior to arrival, using the contact information on the booking confirmation. Reservations are required for massage services and spa treatments. Reservations can be made by contacting the resort prior to arrival, using the contact information on the booking confirmation. The property has connecting/adjoining rooms, which are subject to availability and can be requested by contacting the property using the number on the booking confirmation.